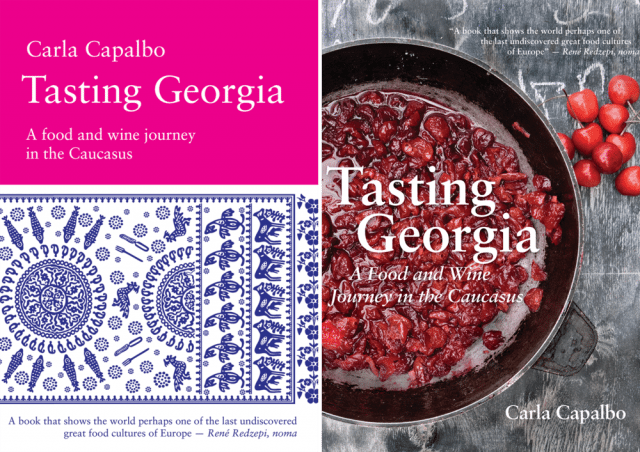 To bring us the book, Capalbo travelled the length and breadth of the beguiling country, gathering recipes and discovering how its wines are made – in clay amphora half buried in the ground. Nestled between the Caucasus Mountains and the Black Sea, Georgia boasts one of the oldest winemaking traditions in the world. The beautiful looking book features 70 recipes, many of which involve cheese, from cheese and tomato bread and braised meatballs to cold chicken in a spiced walnut sauce. It’s brought to life by its 400 colour photos of the characters Capalbo met along the way. “The warmth and generosity of the people captivated me, as did Georgia’s physical beauty,” she says.